Seventh grader Charlie Collier has always been able to solve brain teasers in no time at all. And his favorite books have always been mysteries. 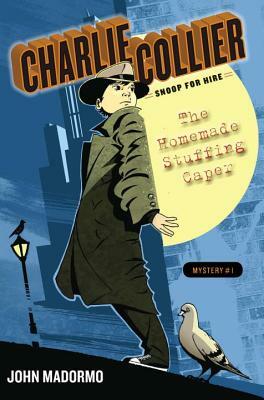 So when Charlie dons his father's old trench coat--the one his mother thought she brought to Goodwill--and a fedora that should have suffered the same fate, he thinks solving mysteries will be as easy as pie. But then Charlie is presented with a big case. A huge one. That involves the entire town. And Charlie needs more than just smarts to crack this case. He'll need his friend Henry, their client Scarlet, and a class bully who turns out to have some surprising secrets of his own. John Madormo is an author, a screenwriter and a college professor. He lives near Chicago, Illinois.